Lawsuit originally filed by Jodie Hejuduk against Spin Master’s Hatchimals was voluntarily revoked. 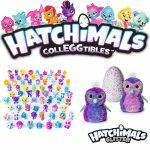 Spin Master recently announced the consumer class action lawsuit filed against its popular Hatchimals toy was voluntarily rescinded. Jodie Hejduk was the plantiff that filed that class action lawsuit against Spin Master Ltd. The Hatchimals took the toy world by storm and created quite a toy craze for the holidays. The Hatchimals are plush robotic animated animals encapsulated in a toy egg. By nurturing and touching the shell, kids helped their Hatchimals hatch. Demand for the toy was incredible during Christmas and retailers across the nation sold out of the incredibly popular toy. Consequently, Spin Master’s customer support found itself hit with an overwhelming influx of phone calls related to the Hatchimals. This had resulted in a backlog of pending customer inquiries and naturally customer frustration. Spin Master was quick to react – doubling its customer support team, adding customer service support hours, and even offering problem-solving pointers and informative videos on its website to help aid customers with hatching the toy. The class action lawsuit reportedly initially stemmed from this customer frustration with Spin Master, the creator of the Hatchimals toy. Customers have commended Spin Master on its initiative to appropriately handle the backlog of customer inquiries in a timely manner. According to Mark Geragos, the plantiff’s lawyer, he stated that Spin Master’s timely actions were successful. He added that Spin Master has replied to all remaining backlog of inquiries and provided replacements or refunds to customers. Geragos stated that they commend Spin Master for its highly effective and proactive actions in handling the situation. Therefore, they have voluntarily rescinded their class action against Spin Master. In related news, a couple months back we had reported news about Spin Master filing a lawsuit against a Chinese company for infringement of the Hatchimals. 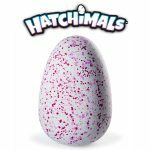 The new Hatchimals CollEGGtibles are expected to make Toy Buzz’s annual Top Toys for Christmas list. What do you think about these new collectibles – will they be able to ever top the Shopkins? !